UPDATE: REGISTRATION IS OPEN... Follow link below to register. 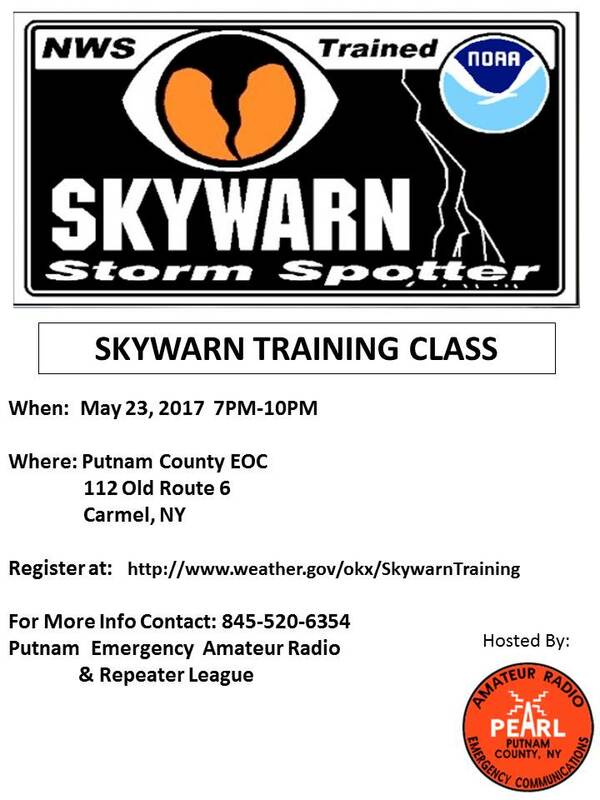 PEARL is hosting a SKYWARN Spotter Training class this May 23rd at 7:00 PM at the Putnam County EOC.